THERE’S NO DOUBT that a large number of people across the country were glued to their TVs for the Late Late Toy Show last night. From Ryan dragging a small child around the studio, to the loveliest family reunion, this year had it all. For many, it’s acceptable to play Christmas songs and put up decorations now that the Toy Show has been on. 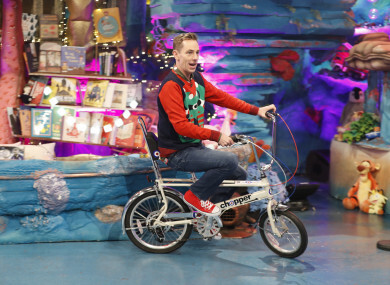 So, today we’re asking you: Did you watch the Late Late Toy Show last night? Email “Poll: Did you watch the Late Late Toy Show last night?”. Feedback on “Poll: Did you watch the Late Late Toy Show last night?”.